oooh lala! 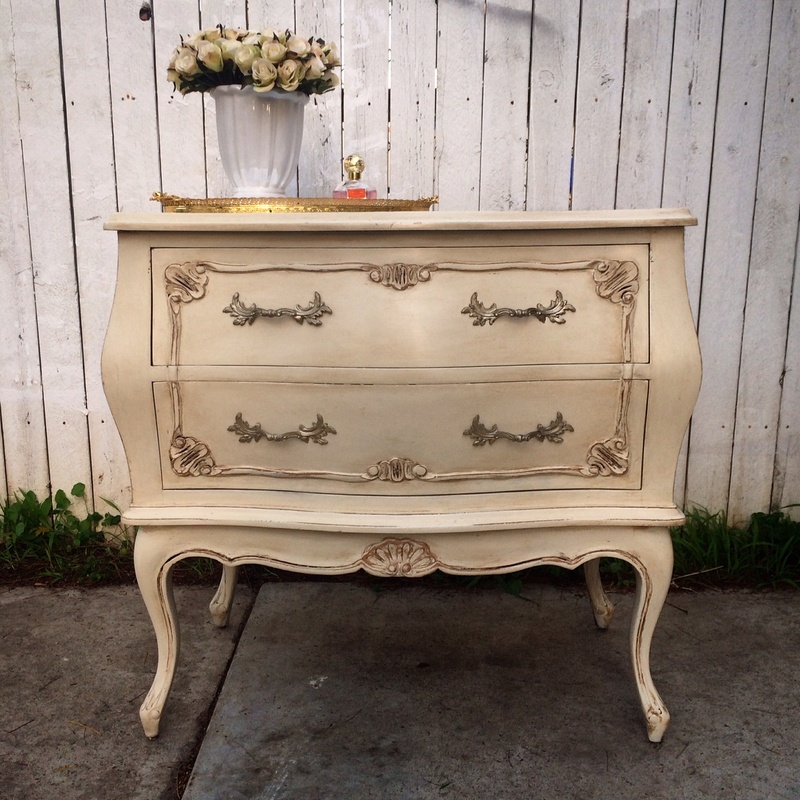 This is an antique inspired french bombay chest with lots of curves and ornate detailing. I used milk paint in the color Linen. 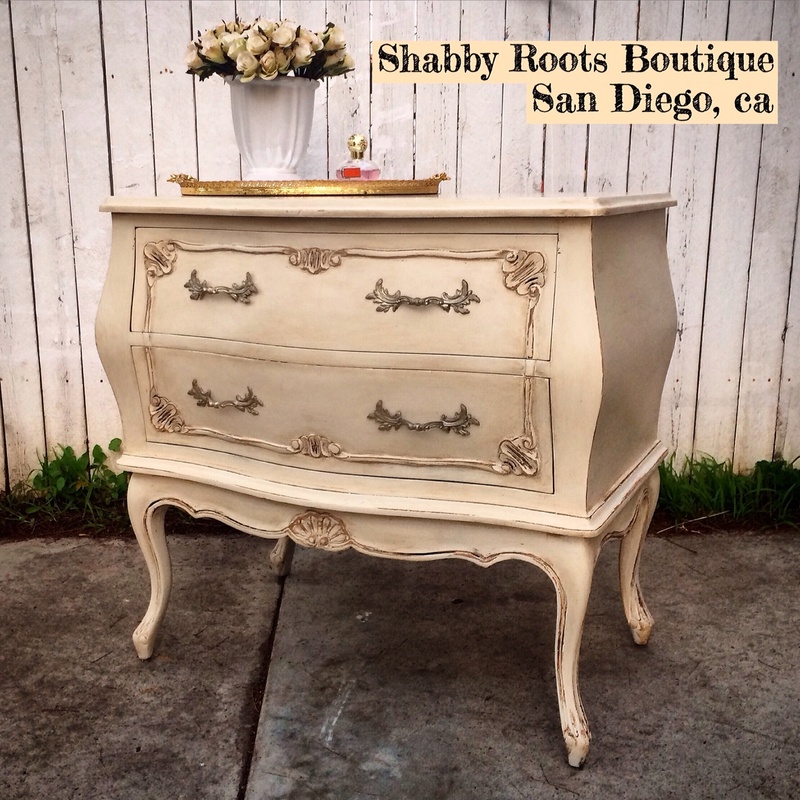 I distressed the details and I sealed it with clear wax and dark wax to give it a very aged old world look. She came out pretty as can be!